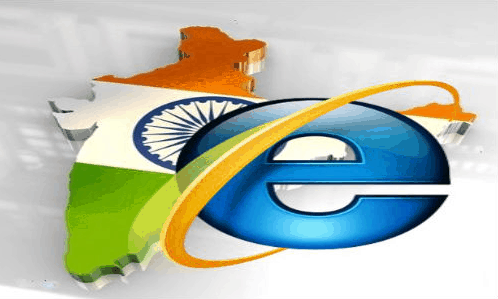 A few days back a report was generated revealing that the number of internet users in India will surpass that of the US by the end of this year. According to another report generated recently Rajan Anandan, managing director of Google India said that around 500 million people will be online in India by 2018. “Even at the current growth rate, we will have 500 million Indians on the Internet by 2018. By the end of this year, India will become larger than the U.S. in terms of number of Internet users. By 2018, India will have twice the number of Internet users as the US does. Almost half the country will be connected through the Internet,” he said while addressing “Digitizing India” organized by FICCI Ladies Organization. As mentioned by him it took 10 years for India to go from 10 million Internet users to 100 million Internet users. Now the country is adding five million new Internet users every month. India now has over 200 million Internet users. He also stressed on the path of purchase that has changed a lot in India in last few years and how peple are increasingly using online platform for retail purchase. Talking about the next big technology wave in the world, he said wearable gadgets are expected to take four years to reach a billion consumers. “Everything is getting accelerated with technology. Every new wave of technology has taken half as long as the previous technology. The next big thing will take half the time taken by smartphones,” he said. Smartphones took eight years to reach a billion consumers. ”The future is here. Wearable devices are the next big thing. It is taking on computing. All these wearable devices will penetrate across the world very fast, and with it technology will get better and better,” he added.